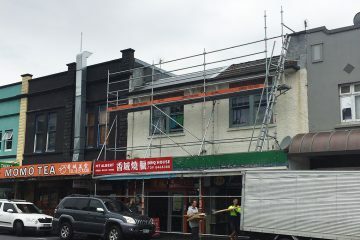 Able Scaffolding uses the latest in ringlock systems scaffolding, a rugged and versatile system that can be erected even on awkward sites quickly and easily, ensuring cost effective installation for our clients. 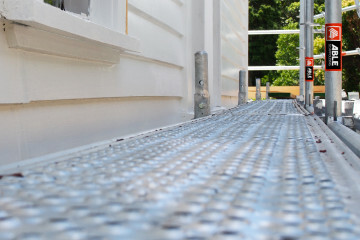 The galvanised steel components make the system strong and safe to use. The bolt-free interlocking ringlock system can be rapidly installed and easily extended or reconfigured to suit any working site, regardless of how difficult the terrain may be. Perfect for any exterior work such as painting, plastering, recladding, roofing or construction. 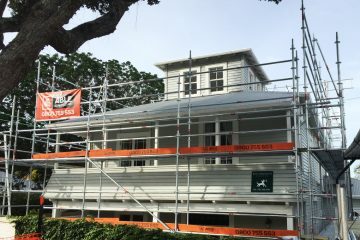 We have experience in planning, erectiing and dismantling scaffolding solutions for residential and light commercial projects. 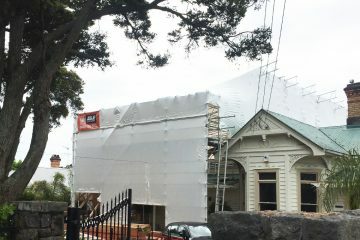 We also offer full building shrinkwrapping for projects that require it. Open communication and prompt, professional service is just the start.